PrintableTreats.com – 500,000+ pages of free printables to download! Welcome to PrintableTreats.com – a huge and growing resource for free printable party decorations, shape templates, digital scrapbooking files, and other printable items. This site is filled with thousands of pages so your best bet to find what you want is to use the search at the top of the page. Did you come from Pinterest? You may have clicked the homepage link that brought you to this page. Go back to the Pin and click the Visit button and you’ll go straight to the download page. Did you come from a search engine? Go back and check out the image that brought you here. I label all images with the category you’ll be able to find it in. If it’s a template you can find it in the category Shapes. Here’s a chart with an example of what’s in each category. 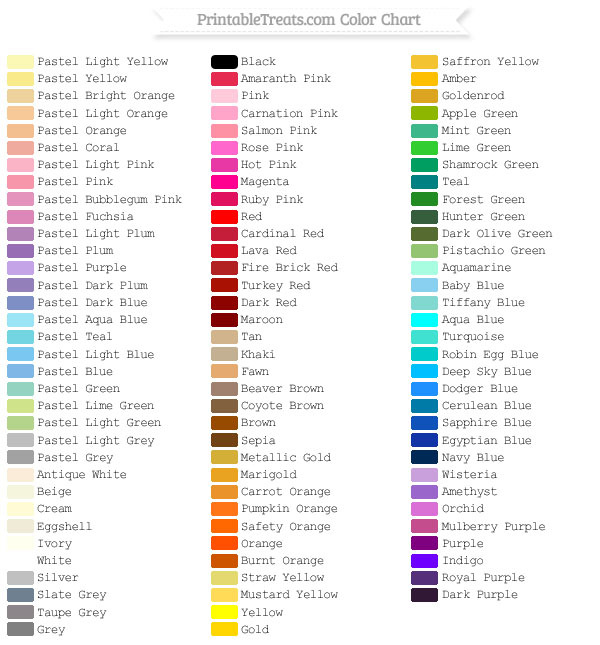 You may also like to see the color chart to further narrow down your search.